Admira Guitars - Andertons Music Co.
Admira produce some of the best Classical and Spanish nylon string guitars in the world – catering to a number of different price points and players at different levels in their development. Check out the Admira range here at Andertons Music Co. In 1944 Enrique Keller founded Admira, since then Admira have become one of the biggest Spanish guitar manufacturers on a global scale. Treasured and respected by musicians of all genres, Admira guitars are characterised by their extraordinary depth and richness of sound. Dedicated teams of craftsmen produce the highest quality Spanish guitars combining traditional techniques with modern manufacturing, resulting in unique yet perfectly built instruments. Abiding by their core values of sustainability, Admira make sure they fuse the best people with the best processes and the best systems. This relentless desire for perfection and refinement means Admira craftsmen turn the finest of woods into quite extraordinary instruments. Whether you’re a live player or prefer playing in the studio, or even if you’re just learning, Admira have got a guitar for you. 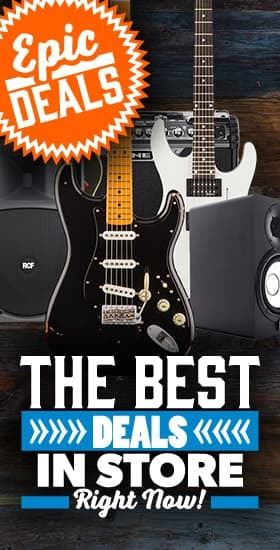 Their live instruments have been designed to project and have a percussive quality ensuring that you’ll be heard no matter where you play – especially considering that Admira use excellent Fishman pickup systems in their guitars.